My personal UX methodology is to be research heavy, understand the problem and the problem space before creating solutions. A lot of the time, UX is faced with this issue. A product might seem exciting and cool, or a new feature might be added because of an exciting idea, but without knowing what the product or feature is trying to solve, some of the beautifully designed and well-made products can be useless. This is something my research team and myself at TechSmith had to keep in mind every day. Working on a two person research team with 10+ designers and even more developers, we had to not just research and throw our findings over a wall, but full understand the user experience and make sure some type of research is always being done, whether is be through product strategy, product ideation, development, or deployment, we should always be trying to fully understand the user needs and issues that they face so we can make better products for them. When I started my internship as a UX Researcher at TechSmith, I observed the company attempting to move away from just designing “pretty” things to appreciating all types of research, getting stakeholder buy in, and getting out research utilize quickly. One of the main catalysts was when we started development on a new version of Snagit, a screen-capture tool and a classic TechSmith product. We did a baseline usability test study on a new version, and found that the strong connection between the user and the product was not as strong as it used to be. But the test did have some positives. 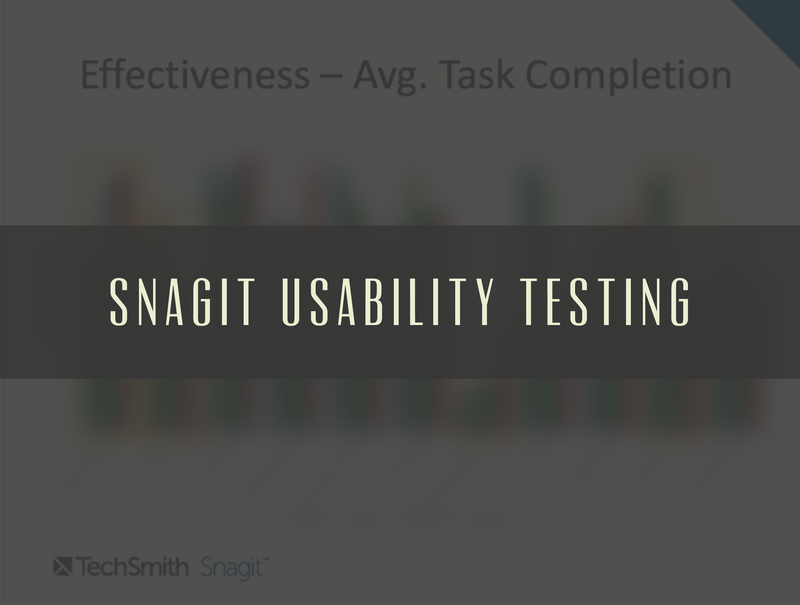 We found a new way of taking notes, found ways to solve usability issues, and how a fresh UI of Snagit could create a more-positive mindset around the experience. We utilized lean customer research methods and partnered with our Market Researchers, UX Design team, and product managers to brainstorm and utilize various research methods. We also attempted to create buy-in for research frequently by encouraging our design team to take on research projects on our web-based testing platform, by running their own studies, and getting out and talking to users. We also worked with product managers and developers by hosting a research book club and encouraging teams to run their own projects. With a new product design, we needed to know if the product was not only useful, but well-received by non-Snagit and Snagit customers. We conducted many rounds of testing to make sure each new iteration was improving the product experience, and not impeding user delight. 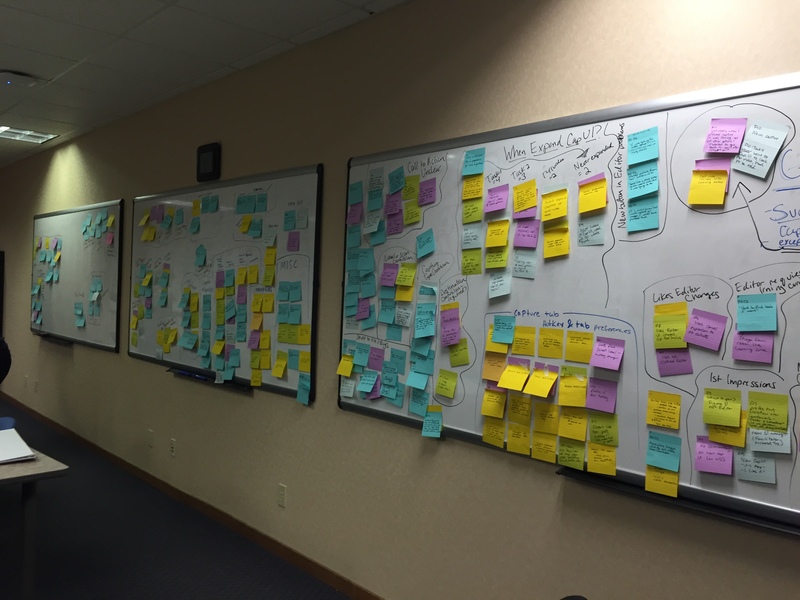 I worked with my research mentor on various tests, where we had to redesign the testing structure, affinity diagram, and present our research rapidly to design and development teams. I facilitated tests, redesigned tasks, presented the results, took notes (via Morae and hand written notes), and communicated problems with the design team by creating clips, highlights and evaluating usability via SUS scores, user success, time on task, and user feedback. We moved from a more formal testing structure to informal testing based on the type of feedback we needed and where we wanted to explore further. 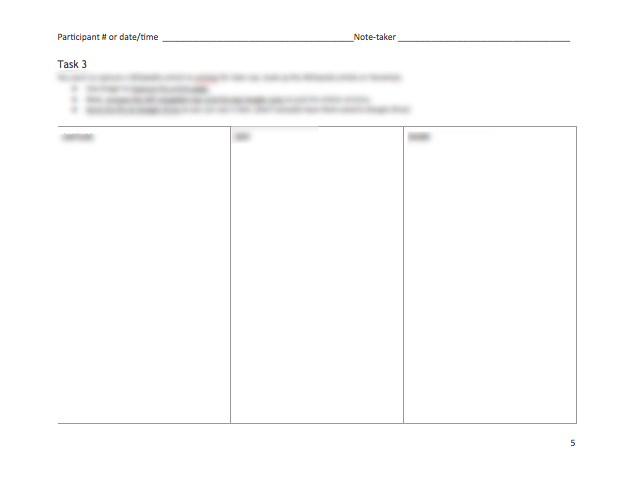 In between formal usability testing, we closely worked with our design team to answer questions really quickly. We would work to answer questions by internal testing, visiting Michigan State’s campus to get quick feedback, or utilize our web testing structure for click tests. This would help us quickly weigh UI designs against each other, know if the type of navigation structures, call-to-action, or use of iconography best fit user needs. As we neared the end of development, we wanted to explore more room for improvement and exploration in updates and future builds. A lot of time, people are using a product in a completely different way than before. And learning these things and seeing all of the cool stuff our customers were creating is great and fulfilling. One was a concept of telestration in Snagit. Telestration is the act of drawing and narrating over a video, which is done in Snagit through a workaround way. I wanted to learn more about user interest in both our customer feedback forum, our social channels, and our emails, so I created a tutorial in collaboration with the Snagit product manager and then created a survey to learn more about the use of telestration and to see what people thought of it. Even though the research is ongoing and really never ends, I saw a huge shift in how research is used and how much research can go into even an already existing product by picking and choosing methods, redoing a lot of research, and creating buy-in through having people sit in and observe tests, do them themselves, or make sure the are filled in throughout the entire experience. As time went on, our research started to be appreciated and utilized by product managers, executives, developers, and designers and were approached by other product leads to do this similar type of testing on related products, such as Camtasia. I learned that even though research can be messy and sometimes a little crazy, it’s worth the time and effort because making products that help people and make them happy is what I really love to do.